In Cambodia, over half of the people afflicted with ear conditions are children and most of these live in abject poverty. 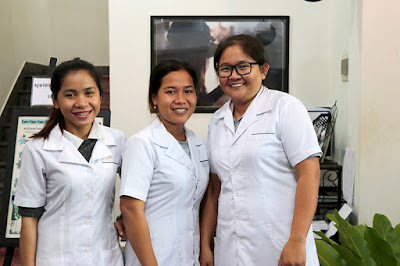 Until recently, few resources existed in the country to provide specialist audiology care to treat hearing and ear problems, especially for the poor and marginalized. However, a clinic called All Ears Cambodia (AEC) is working to address this situation by providing professional health care services focused on hearing ailments. 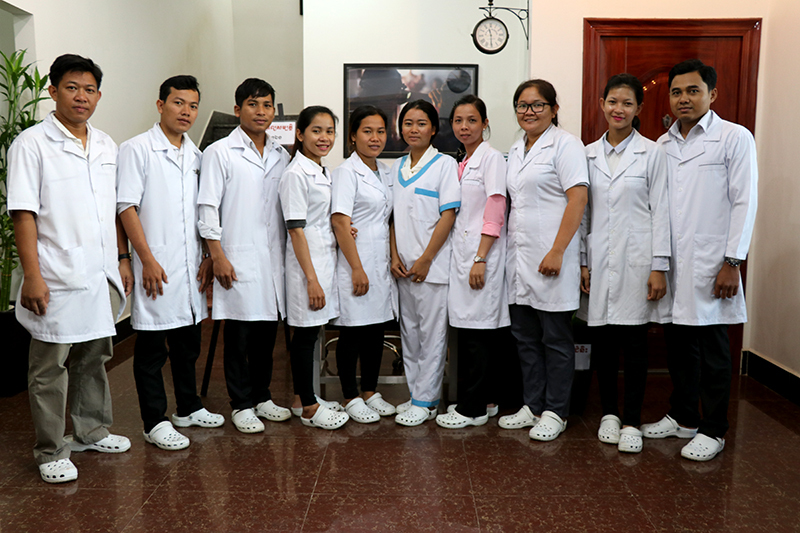 AEC is located in the heart of the capital Phnom Penh, 500 metres away from the landmark Independence Monument and it provides care for all ages – from newborns to the elderly. Services include ear health care, audiology and treating ear disorders through the use of advanced examination and therapeutic techniques. Beside medical services, AEC also provides dedicated clinical training on audiology to young Cambodian Rachana Chheang, a student on the two-year audiology and primary ears health care training course. AEC is partnered with UNICEF under the Disability Rights Initiative which seeks to remove barriers to the participation of children and persons with disabilities, who are often marginalized from Cambodian society, with little or no support for children at a critical time of their life when they should be advancing their learning opportunities. However, with backing from the Australian government, UNICEF and AEC are addressing the needs of children with hearing impairments and raising awareness about the importance of early identification of hearing impairments and proper ear health care practices. AEC conducts regular check-ups for underserved children, including those assisted by NGOs such as KUMAR, which assists vulnerable children and Damnoek Toeuk, which helps children with disabilities. In an interview with UNICEF, Rachana gave an insight into her work and training with AEC. Rachana is recording her patient's history in the system. My name is Rachana. I am a 25 year-old from Prey Veng Province. I graduated with an Associate Degree in Nursing from the University of Health Sciences in Phnom Penh. My career dream is to work in a non-governmental organization. I used to work for VSO, Missionaries of charity and now All Ears Cambodia. Why did you decide to join AEC? Audiology and primary ears health care is rare in Cambodia and I find this area very interesting, plus the target patients are the elderly and children. The interesting part is I can work and apply my previous experience [as a nurse] and learn the new science of audiology at the same time. There are 11 trainees on the course including myself. We spend the mornings learning in the training centre and the afternoons in the clinic with specialized doctors to provide treatment for the patients. After we finish our training [2 years], we will all be mobilized to work in different AEC clinics across the country. What is the difference between a general nurse and an audiology nurse? I find being a specific audiology nurse is way more different and interesting than general nursing. When being a general nurse, I took care of the patient, did the injection and followed the doctor’s instructions. Here, [as a trainee clinician] I am able to work independently, diagnosis cases and provide appropriate treatment and this gives me a confidence that I am now on the way to becoming a professional. What do you study at AEC? In my first year of training, I learned how to use audiology equipment to measure, listen and diagnose hearing problems. In the second year, I started to learn how the ears, nose and mouth associate with each other. I also learned how to utilize medication and their side-affects. I rotate my weekly shift with my other 11 colleagues to cover different clinics. Now, I can run a whole treatment process of cases independently. Rachana operates the hearing test machine. There were a few cases when I wasn’t sure if my diagnosis was accurate enough. In those circumstance, I always asked for support from my seniors so that the next steps of treatment will fall into place. Another challenge is during the process of measuring the hearing degree of the patients’ ears, mostly children’s cases, especially children with disabilities such as autism. It takes longer as they don’t feel familiar with us wearing a white gown and this looks like a scary doctor’s uniform. We learned in the training how to make children calm, familiarized with the environment and to gain their trust so they will cooperate. However, it takes time but this is the part I like the most. How do you get children to cooperate with the diagnosis process? It depends on specific cases. For example, children with autism, they play alone and focus on their favourite things. It is hard to catch their attention and ask them to do as we say. For the small children, sometimes, I ask their parents to wake them up at dawn time so that they will fall asleep when they arrive at the clinic then we can process the examination while they are sleeping. When conducting hearing aid fitting and analogue fitting, I’m able to measure the patient’s hearing level to make an appropriate hearing aid with efficient accuracy. What are your favourite things about being in the clinic? Firstly, primary ear care where I can take care of patients’ ears. Secondly, the hearing test stage when I can identify the problems of the patients. The most rewarding part is when the patient can wear the hearing aid. One case I remember very well is when I inserted a hearing aid for a girl. She smiled at me as she heard me speaking. I was very happy because that was the first moment in her life to hear things. I was very proud to be with her parents at the moment she was able to hear for the first time. What is your inspiration to becoming an audiology specialist? Having ear problems is seen to be a small problem. However, in some cases it can cause serious infection leading to severe complications and even fatalities. Every time we count cases as a success – not only their physical [ears] condition but also the patient’s mental recovery. We motivate them as we treat their ears so both physical and mental conditions are cured at the same time. The most inspiring part is seeing our patients revisit us with healthy and happy faces. I believe many now have dreams of getting a good job, earning a good wage and enjoying a successful career. The value added to my own life is working in a field that I love and helping patients, especially the poor, elderly and children with disabilities. This may be a small contribution to our society, but the more people think this way and commit to help, the more people’s lives in need will be changed for the better. What is your final message to the readers? I hope that donors continue to support our clinic and training centre so that more young people get the chance to study audiology and work in this field and extend specialist health care services to people in need, especially children. 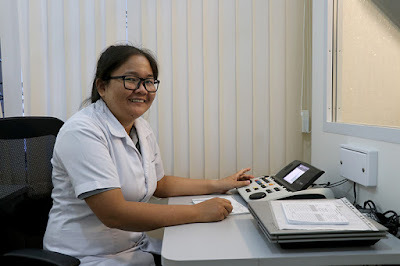 I believe specialists in audiology are a limited resource in Cambodia. I hope the government can work together with current audiology institutions to widen the skill available in healthcare sectors, as well as integrating this primary care into health centres and public hospitals. of the two-year audiology training. 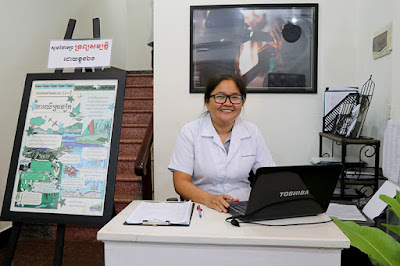 AEC has outreach projects which operate in the eight provinces of Kampong Chhnang, Pursat, Kampot, Kandal, Siem Reap, Battambang, Kep and Preah Sihanouk.